Halloween decorations in traditional black and orange colors relate to the scarier aspects of life and warmth of the fire. 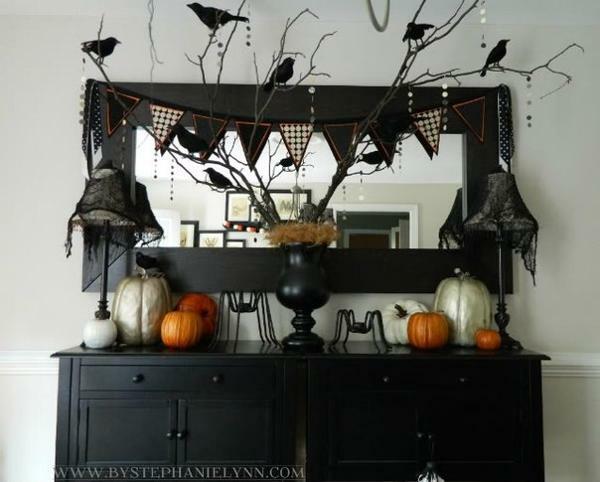 Halloween decorating ideas that remind of mysterious elements of life, like magic, stories of mythical creatures and death, ghosts, ghouls, black cats, spiders, gnomes, skeletons, demons and witches are associated with black color, adding a scarily charming feel to Halloween decorations. 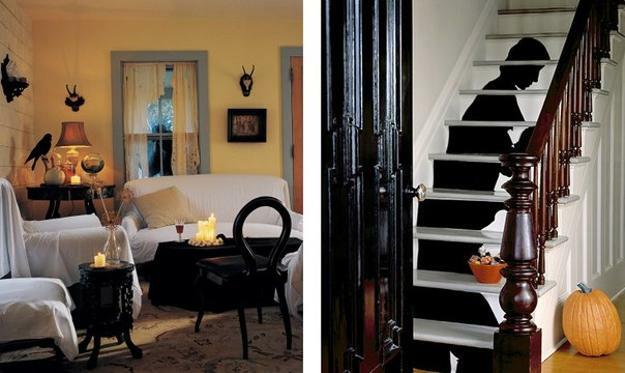 Traditional colors for Halloween decorating include black and orange. 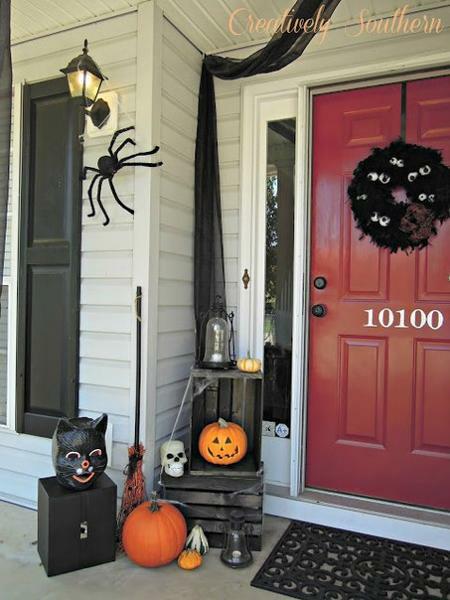 Creative Halloween decorations can add purple, green, blue and red to modern Halloween decorating ideas, while white brightens up this unique holiday decor. Pumpkins and scarecrows are the symbols of Halloween. 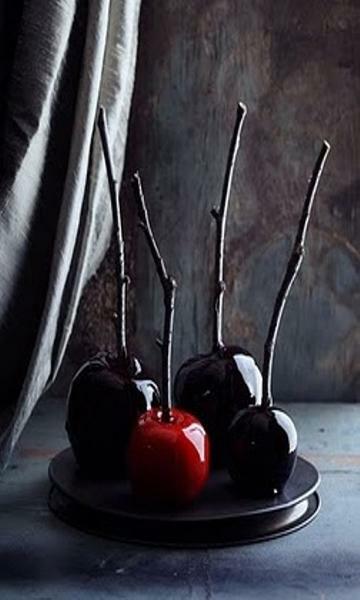 Creative ideas that skillfully combine these Halloween decorations with black color look very appropriate and interesting, enhancing the spirit of the mysterious and a bit scary holiday. 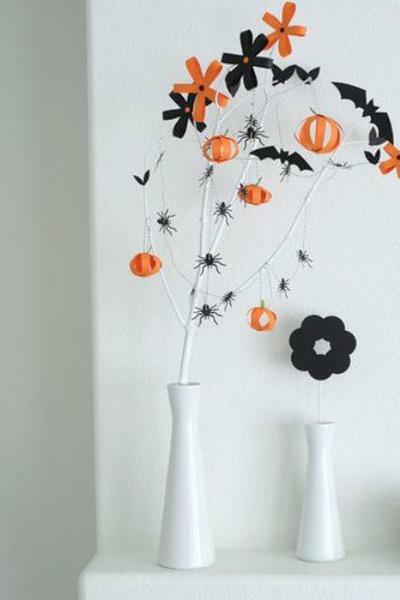 One of the elements used in order to make Halloween decorations look dramatic and impressive is orange accents and white decorating ideas. 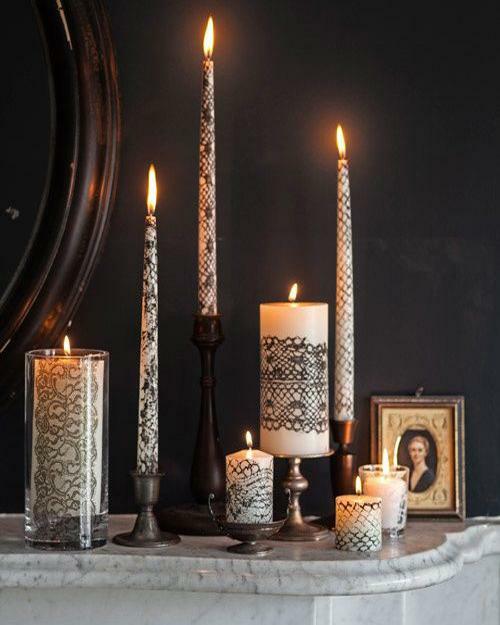 Glowing candles, pumpkins and Jack-o-Lanterns are the gorgeous symbols and attractive Halloween decorations for your holiday table. 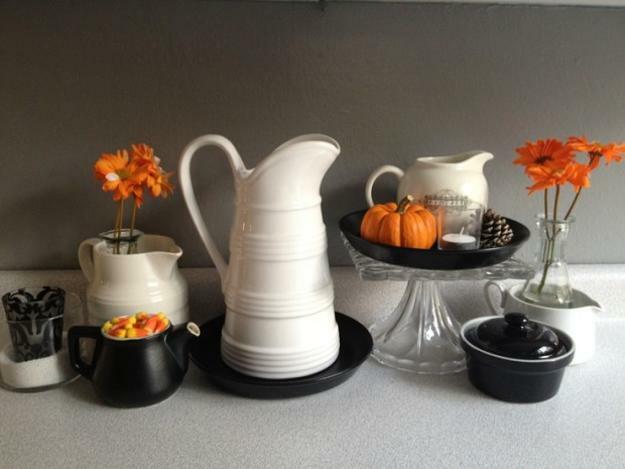 A mix of black and white tableware, painted in white and black pumpkins, picture frames and black wall stickers are perfect for traditional Halloween decorating. 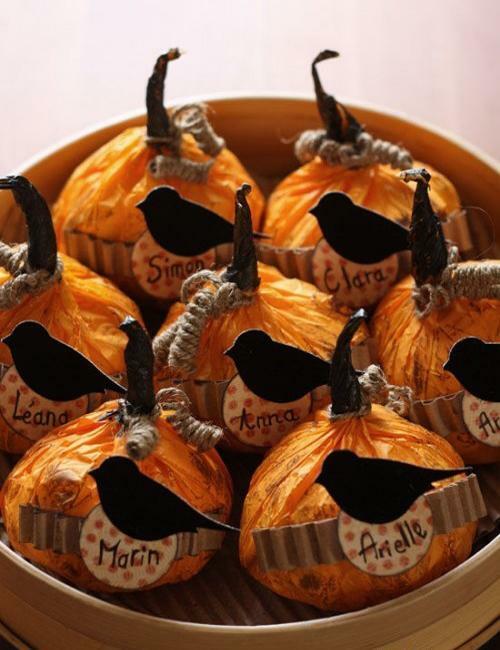 Painted and stenciled pumpkin decorations are great fall craft ideas that demonstrate your talents and give the visitors to your Halloween party a scary feeling, Black and white decorating ideas with a touch of orange create traditional creepy Halloween decorations that enhance the atmosphere of this holiday. 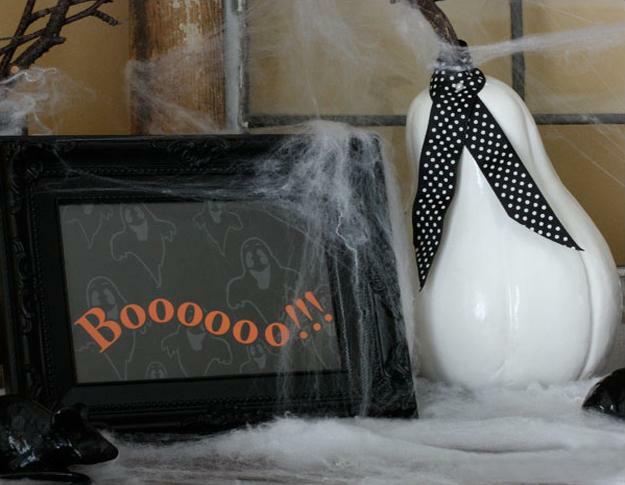 Hang magic mirrors and black picture frames with Halloween images at the entrance of your home. Watching people get scared looking at their own terrifying reflections will be quite comic. 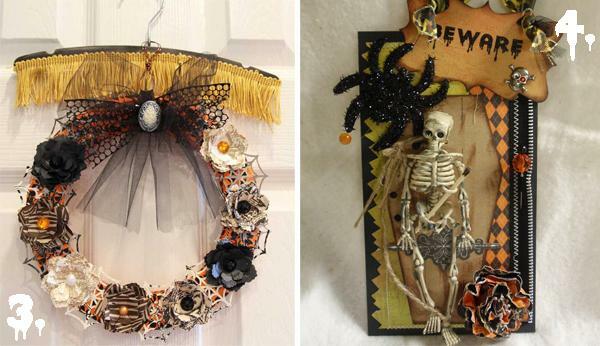 Use black decorations, like Halloween clocks, picture frames and candle holders in black color, add Halloween images in black color to your door wreath to cheer your Halloween party guests, adding more smiles and fun to your Halloween decorating. 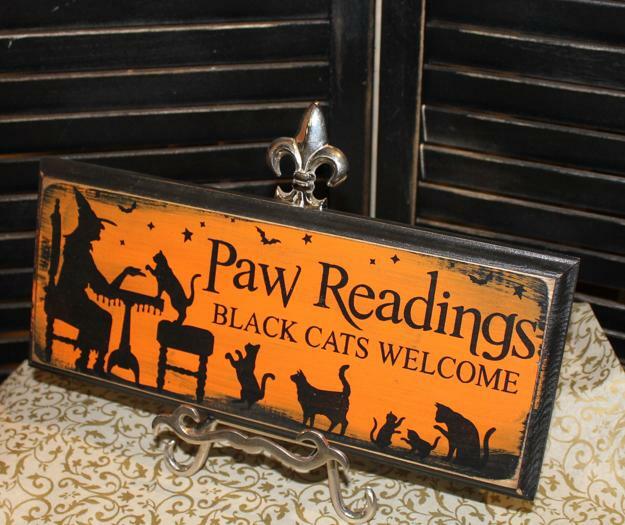 Halloween decorations in black color, – stickers, posters, and symbols, look mysterious with orange accents. 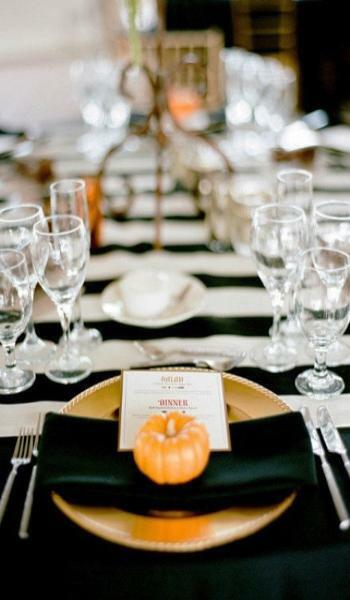 Create black and white Halloween party decor and add a touch of orange color. 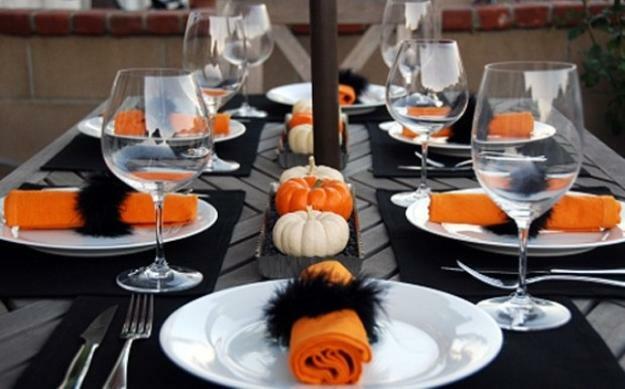 Display your black table centerpieces with added orange accents to create spooky Halloween party table decor. 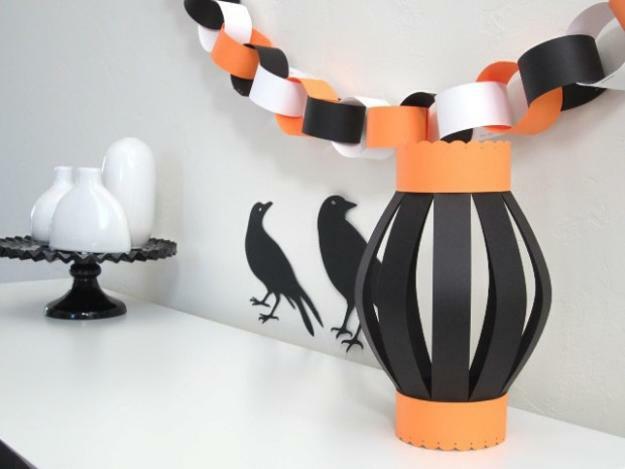 Scary Halloween photographs and simple paper crafts in black and orange colors are great for creating interesting wall decor for your party. 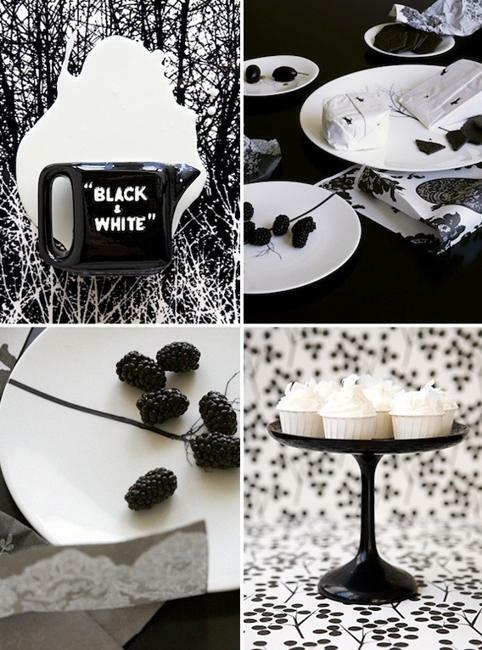 Use black lamp shades and decorate your party table with black and white Halloween lights. Add Halloween music to increase a spooky effect that boosts the enthusiasm of the guests and enhances the enjoyment at the party. 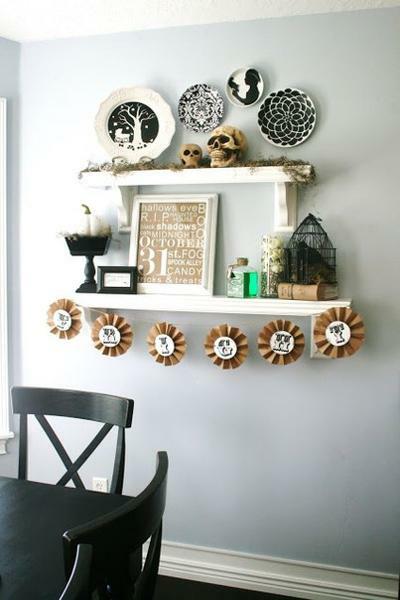 Here is a collection of creative Halloween decorating ideas. 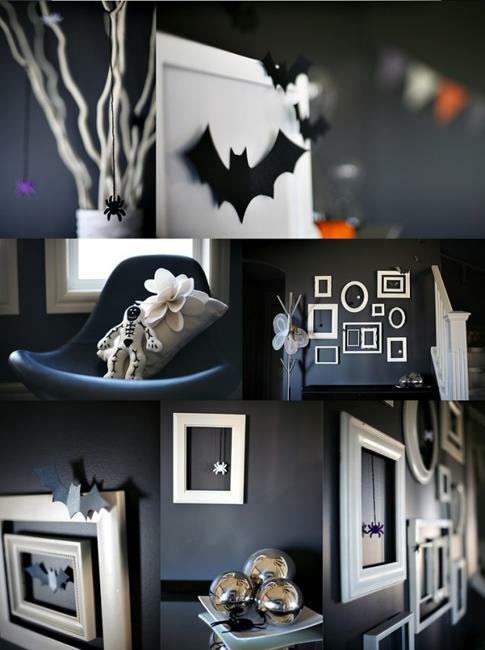 You can use these unique decorating ideas for your Halloween party and create your own Halloween decorations, improving these designs with your personal touch. 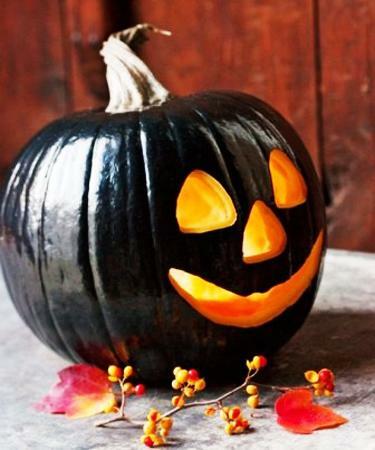 Innovative Halloween decorations and crafts that are made with traditional black and orange colors will make the holiday experience memorable not only for your guests, but for you and your kids as well.